One would thing that water is not a scarce resource on a planet covered 97% in it, but the fact is that only a small portion of that water can be used for drinking. That is why water recycling is one of the most important forms of recycling that all of us should practice if we want to be able to continue using water. 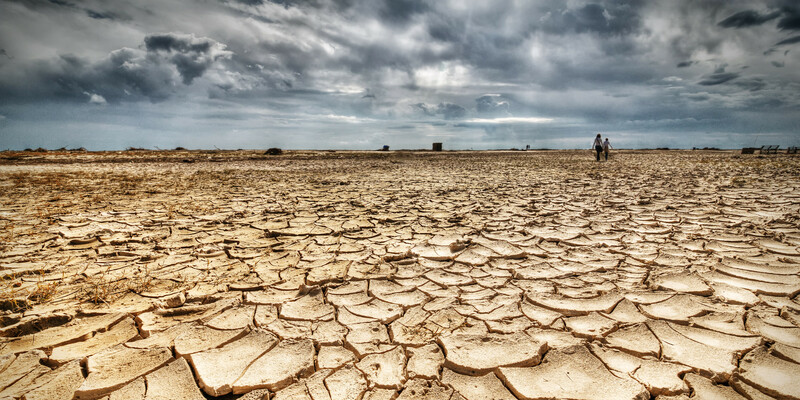 At the same time, there are many areas of the planet where drought is a serious problem, which means now is the time for water recycling and conservation. In the developed world (where water waste is at its highest), washing creates striking amounts of dirty water that should not be poured down the drain. Repurposing this water allows people to go green and save on their water bill. Let’s find a few ways you can reduce your household’s water waste. According to EPA, water recycling is quite an important matter that needs our immediate attention – and many other ecologists tend to agree. While recycling is a term we generally associate with glass bottles, aluminum cans, and newspapers, water can also be recycled. It refers to reusing treated wastewater for beneficial purposes, including landscape and agricultural irrigation, toilet flushing, industrial processes, and replenishing a ground water basin (more about these later). Water recycling comes with plenty of benefits – both for the environment and for you. On one hand, you save on a very scare natural resource, while on the other, you gain significant financial savings. You’d be surprised how much water you waste if you leave the sink faucet on when you brush your teeth. Meanwhile, recycled water for landscape irrigation requires a lot less treatment than recycled water for drinking water, for instance. And you shouldn’t worry about health problems that could occur due to contact with recycled water. There are no documented cases of illness if the water is treated to standard criteria and regulations. The natural water cycle has allowed our plant to recycle and reuse water for millions of years. However, water recycling is generally used to refer to intentional projects that make use of technology to aid and accelerate these natural processes. Usually, water recycling falls into two categories: unplanned or planned. One of the most common examples of unplanned water recycling occurs when cities use rivers as their water supplies – like the Mississippi River or the Colorado River. Such rivers receive massive wastewater discharges upstream from the cities they supply. Their water has been treated, reused, and piped into the water supply multiple times. Planned projects, on the other hand, are developed with the clear goal of reusing a recycled water supply for the benefit of the community. You can start such a project in your own household; you can find some of the easiest methods below. Is your water bill constantly on the rise? You may not have used more water, but the prices went up either way, seeing that many cities have signed government deals to repair their water systems and reduce water shortages. There are some simple steps you could take towards water recycling, however. These will help your household to conserve this precious resource and also save money. It doesn’t get easier than the shower bucket; it allows you to recycle water at home by simply placing a bucket under the running tap of your shower so you don’t waste the water that’s not heated up. We are all guilty of running the first few gallons down the drain, until the water reaches a comfortable temperature. You’ll be surprised at how much water you could collect while you’re warming up the shower! Next time you feel like pasta, do not pour that precious water down the drain. It’s a pot of water that you could collect by setting a colander over another large pot. After the water has cooled down, it’s safe to use it to water your garden or house plants. That’s how easy it is to start being green! The municipal water system for watering your garden is all good, until you become acquainted with the many uses of rainwater. Setting up a rain barrel is super simple (or more complicated, if you want to); it all depends on how much money and time you’re willing to invest. One of the best collection methods is simply placing the barrel underneath your gutter’s downspout. That way, you can collect a lot of water when it rains. It happens to all of us; you’ve poured yourself a glass of water, but you couldn’t drink it all. So now it’s been sitting out for too long and you’re tempted to pour it down the drain. But instead, you could feed it to a thirsty pot plant. The same goes for unsweet tea – your plants will love it! If you’re dealing with a sweetened tea, however, pour it in the garden but never on house plants. Unless you want to become friendly with ants! If you want to be able to reuse your grey water, you should check your laundry detergent first. Most of the commercial cleaning products contain high concentrations of chloride and sodium compounds – which are dangerous to plants. If you plan to reuse this water for your garden, you better switch to biodegradable detergent. Ammonia cleaners are also a good substitute for cleaners that contain bleach, sodium, or boron. Letting the water run while brushing your teeth can lead to 4-gallon water waste. Americans today use 127 percent more water than they did back in 1950. About 95 percent of all the water that enters your home is wasted down the drain. Older toilet models will use up to 3 gallons of clean water with every flush; new toilets? Even as little as 1 gallon. A water-efficient dishwasher (recommended) will use as little as 4 gallons per wash cycle, whereas some of the older models drink up to 13 gallons per cycle. Leaky faucets that drip (one drop per second) waste up to 2,700 gallons of water annually. A sprinkler or garden hose can consume almost as much water in an hour as the average American family of four uses in 24 hours. According to some experts, over 50 percent of landscape water use is wasted due to runoff caused by over-watering or evaporation. Many people across the globe survive on 3 gallons of water per day – or less. We often use that amount for just one flush of the toilet. Over a quarter of all the drinkable water used in a household is used for flushing the toilets.